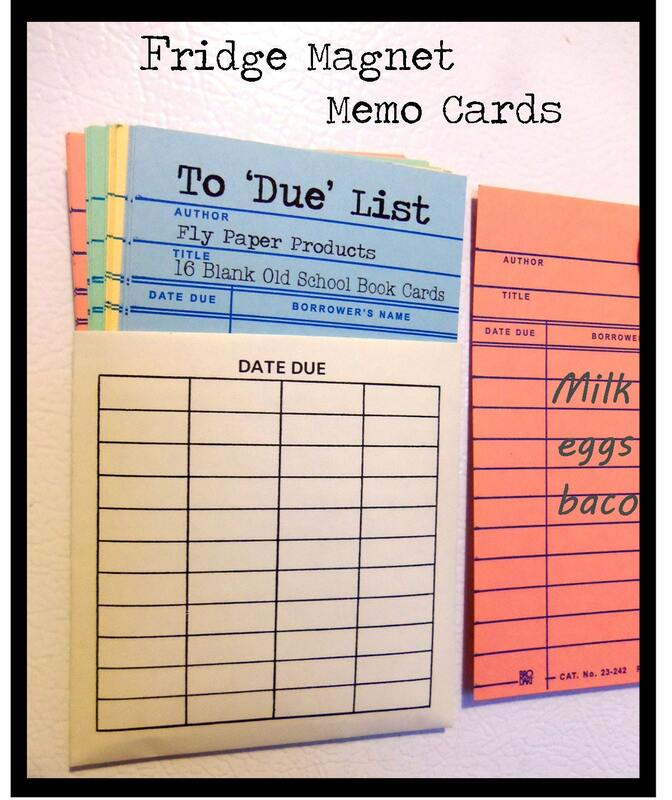 What a fun way to write down memos and notes! 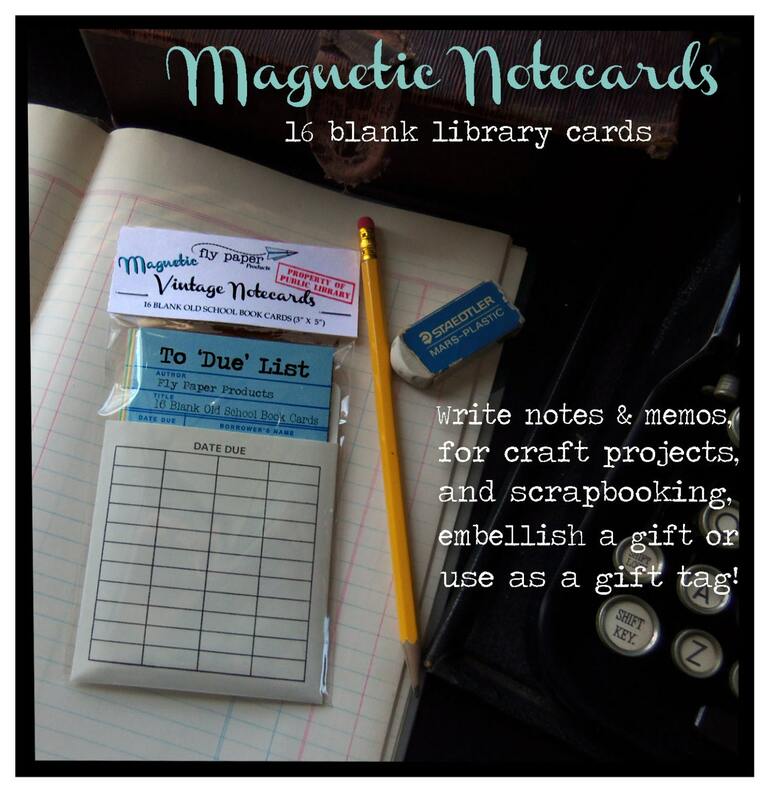 You can also use the vintage library book cards in craft projects and scrapbooking or as a special gift tag. 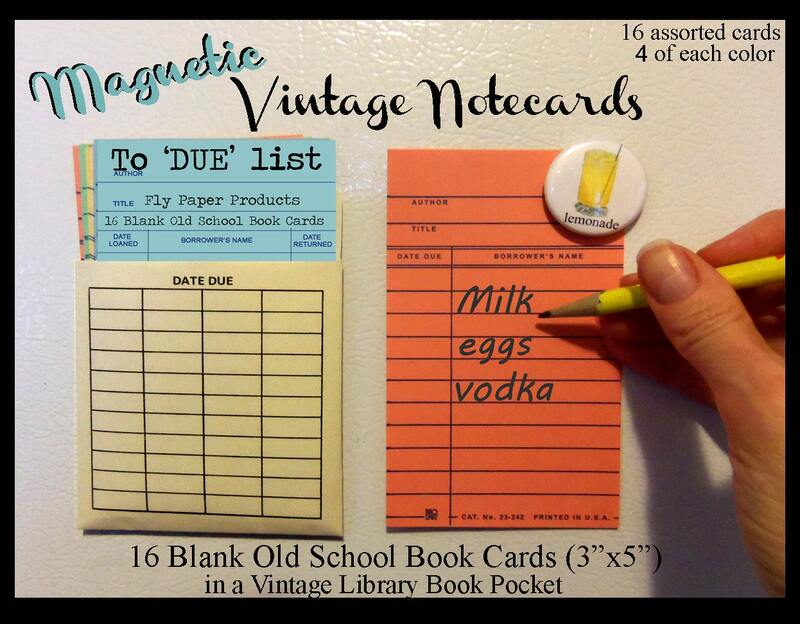 This also makes a great gift for any book lover! Each library pocket is filled with 16 blank book cards, 4 of each color. (blue, yellow, green, salmon) A heavy duty 3" x 2" flat magnet is attached to the backside, ready to be put on any metalic surface. Each individual book card is 3" x 5" and is packaged in cellophane as pictured.